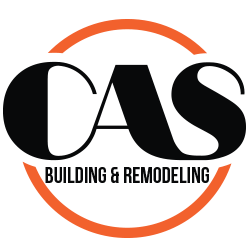 Who We Are - CAS Building & Remodeling LLC. CAS Building & Remodeling is a Fort Worth, Texas-based business that is locally owned and operated. CAS prides itself in exceeding client expectations from start to finish of every project. Our reference list speaks for itself, with virtually 100% client satisfaction. Many clients have utilized our services repeatedly for their construction needs. CAS’ customer service rivals the best in our industry by providing those in Tarrant and Parker county with pristine quality service, and we plan to keep it that way. You asked, so we are here with the answers. The Allowance is the amount designated to cover the cost of the specific item mention in the proposal. If less is spent the homeowner gets credit for the difference, however if the homeowner spends more than the allowance that then becomes and overage plus profit due to the contractor. What constitutes a start date? The date the permit is issued, unless a permit is not required then it’s the date the contract is signed by all parties. We primarily service the areas around both Tarrant County & Parker County, Texas. Can we do some of the work ourselves or supply a particular sub-contractor? Yes however CAS warranty will only extend to the work and materials done or supplied by CAS. Who are some of your suppliers you do business with? We have been in the construction business over 25 years with many happy customers. Yes, CAS carries a policy that covers up to $100,000,000.